I just scored another goal! Keep your head up and stick on the ice! It would take Danny way to clear that gap! I dare you to pick me last! Hockey…could you even picture me playing any other sport? I see you, I play you, I beat you! I love National Hockey Card Day. Even I get free cards! Every time a tooth is lost, and Angel gets its wings!! 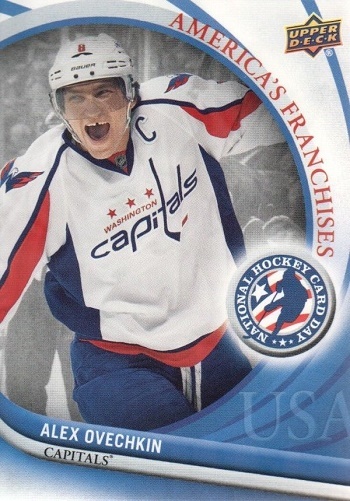 In Mother Russia, you don’t make National Hockey Card Day card, National Hockey Card Day card makes you! To bad I’m not on a Canadian Franchise, would have insurance to get my tooth fixed. My Mom used shake and bake and I HELPED! My dentist called and he fit me into his schedule today!! Yippee!! I am a hockey god! 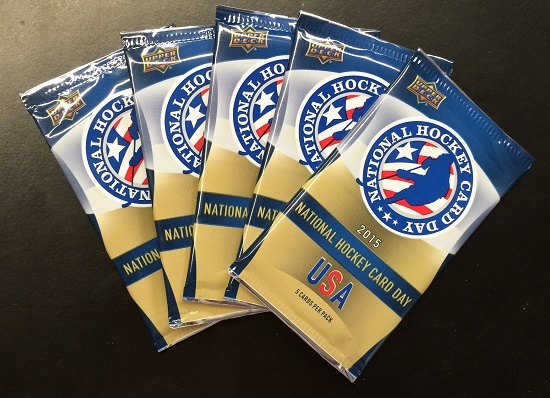 YES…5 PACKS OF HOCKEY CARDS FOR HOCKEY DAY…WOO HOO !! Yeah!!!! i scored Wayne Gretzky’s autograph HOOYAAA!!!!! Congrats to Todd H. Your witty comments have scored you 5 packs of NHCD packs. Thank you to everyone for participating! Thanks. I am super excited to get the cards and see what is inside. Thanks Upper Deck.